Tomorrow Sleep added a new mattress to their line up! When I was informed that what’s inside that plain cardboard box is a Tomorrow Sleep all foam mattress, I honestly was all excited! I haven’t test it yet, I haven’t slept on it or felt it but I thought if it’s the same quality as the Tomorrow Sleep Hybrid mattress, then we are off for a good start- or a good night’s sleep- Plus it is always a honor and pleasure to be chosen to try a new product coming from a high end company such as Tomorrow Sleep. It doesn’t matter your background sometimes or how excellent your first mattress or product was, What matters right now is THE RESULTS! Keep scrolling because the results are in! 1” 2.5 lb/cubic foot Tomorrow Cool Swirl Memory Foam designed to regulate body temperature throughout the night. This soft top layer conforms to your body to relieve pressure and enhance comfort. 2” 2.5 lb/cubic foot Tomorrow Airy Comfort Memory Foam. This middle, Airy Comfort Memory Foam layer helps heat dissipate while continuing to cradle individuals while they sleep. Both top layers contain open cell construction which allows air to pass through, regulating temperature and creating the perfect sleep climate. This construction also all but eliminates motion transfer. And finally the bottom layer. 7” Tomorrow Dynamic Support Foam. This layer is denser and firmer for all night support. It provides the structure of the mattress to ensure sleepers don’t sink too deeply into the mattress. All layers are CertiPur certified, latex-free and high quality viscoelastic made from polyurethane. The Tomorrow Sleep Hybrid mattress has always been on the list of my faves. 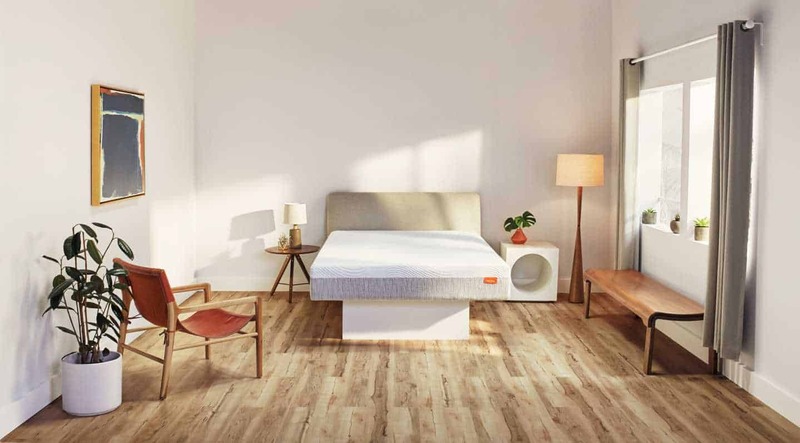 So I am expecting a similar, if not the same performance from the Tomorrow Sleep Foam Mattress (minus the coils of course). I’ve been sleeping on the new Tomorrow Sleep All Foam mattress for over two weeks now. I have to be honest I sometimes hesitate thinking am I going to get that same great support and comfort I get with a Hybrid mattress? Or am I going to sink into it, get sweaty and get someone to give me a hand to help me out of that foam. But chokingly that was not the case with the new Tomorrow Sleep all Foam mattress. And the answers to all my doubts, or questions have been answered through this amazing mattress. Able to sleep through the night without interruption. I did not get hot through the night, or sweaty, and was sleeping cool. Motion transfer was at its minimal. I was even surprised myself how perfect was that balance between comfort, support and that right amount of sinkage that didn’t make me feel like the foams are swallowing me sinking my body into the mattress. NOT AT ALL . So no, I did not need anyone’s hand to help me out of the bed, it was as easy as diving into it. • It’s the kind of mattress you are looking forward to sleep on after a long day at work, or travels. Which is a good sign. Conforms well on an adjustable bed. Sleeps cool thanks to open cell construction which allows air to pass through keeping the heat away. • The cover might leave its pattern/ marks on your back, Which is funny. (Don’t worry it will go away). Also make sure you have your fitted sheet on and don’t sleep straight on the cover like I did. There’s a slight smell the is not off-gassing but simply the smell of new fresh foam. You won’t even notice it unless you stick your nose into the mattress. The only maybe Con that counts is that it is not going to support your hips if you are a stomach sleeper. But they always have their Hybrid mattress! Also if you are looking into investing in a brand name such as The Tomorrow Sleep without dreading the cost, this one is for you. Most memory foam mattresses in the market with similar construction and characteristics retail for around $1,500. By shipping direct to consumers and not going through a middleman, Tomorrow Sleep was able to significantly reduce costs. As an added benefit, free shipping is offered on every mattress along with 365 night trial. And lastly, where available, white glove delivery and old mattress removal is also offered. Free shipping is offered on every mattress. Where available, white glove delivery and old mattress removal is also offered. I literally just heard a radio commercial for Tomorrow Sleep! You are following me hehe! The cover skin imprints sounds funny- not a horrible con! As a stomach sleeper- the lack of hip support is a bummer. I haven’t heard any of their commercials yet, what city are you in? Maybe they just aren’t targeting my area.